During the May, 12 Christie’s auction in Geneva a very rare 1949 Rolex Oyster Perpetual watch reached a record breaking price of $1,220,632. 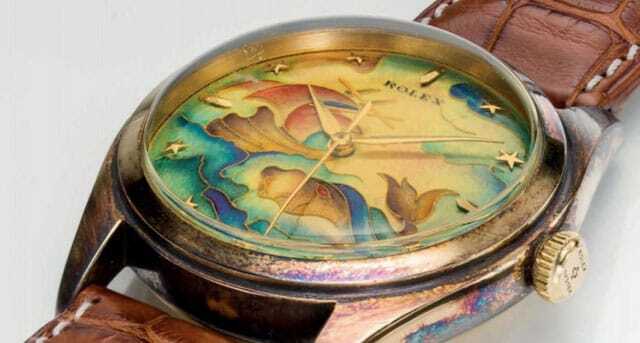 The watch is officially the most expensive Rolex wristwatch ever sold. What could possibly justify the price tag you might ask? This is no ordinary Rolex watch. Considered one of the most important pieces ever manufactured by Rolex, this special wristwatch has a number of fascinating features. This unique watch was designed by a famous Geneva artist named Marguerite Koch and features a cloisonné enamel dial. 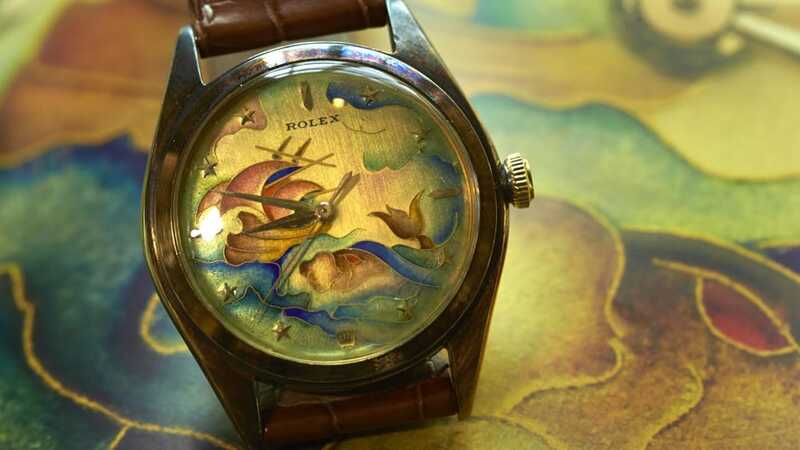 The dial depicts a whale and ship sailing through a sea of heavy waves.